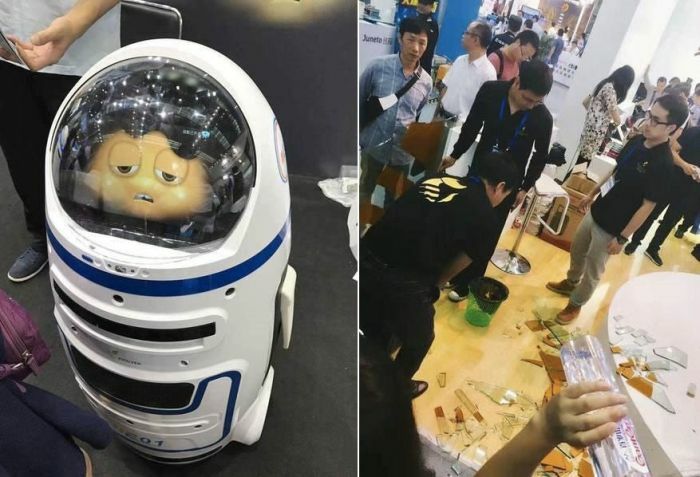 During a Technology Exhibition in Shenzhen a robot named Fatty malfunctioned and smashed a glass window. 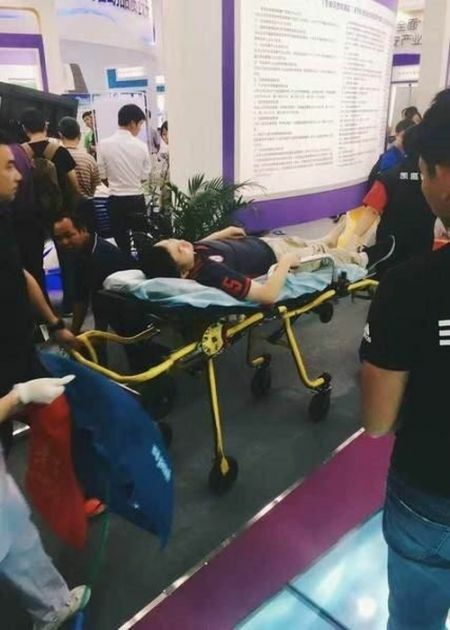 The broken glass injured two people, but the creators of the robot say there's nothing to fear. The incident was blamed on a human after the person operating it revealed they had pressed the wrong button.